You are looking for a professional photographic lab that can process your films in a rapid and efficient way? Based in Brussels (Belgium), Color 41 offers a wide range of high quality traditional services. The lab will be closed from 4 to 8 March 2019. The lab will also be closed from 8 to 12 April 2019. - Prices are excluding VAT rates ! How to contact Color 41? 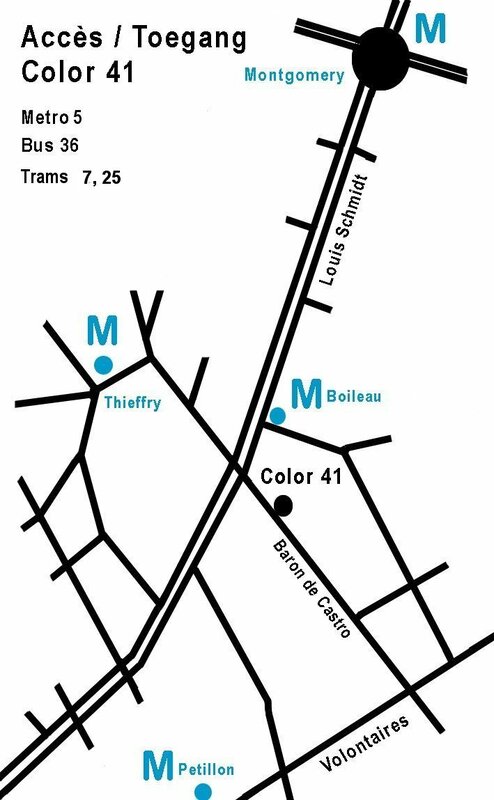 - Outside the opening hours, there is the possibility to deposit or take back the films using the "Color 41" letter box.